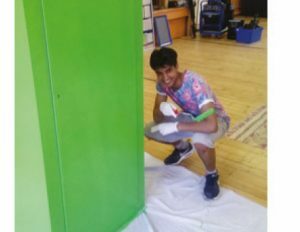 Could your young people get creative, learn some life skills (DIY) and also get involved in something which has a community aspect by upcycling unwanted items. There are lots of things that might not look like much that you could transform into something fresh and ready for use again. Furniture of all shapes and sizes including tables, chairs, cupboards and more are all ideal items for upcycling. The results can be really impressive. Upcycling could also be a potential source of fundraising if you look to sell the items on afterwards.